Can Tablet Apps Help Improve the Help Desk? In large organizations, contacting the help desk for assistance for new services is rarely a pleasant experience. Would applications for tablets be a way to solve this problem? Only if you have the right resources. There are two key aspects to an IT help desk operation: users contact the support team when something goes wrong, and when the process is managed. In many organizations, the phone call still is the most common method of talking to the help desk. The next step for a help desk is managing it through some sort of web-based system, often located in the company’s intranet. In theory (though not always in practice), this should result in a faster resolution of problems, from common problems that can be identified through frequently asked questions (FAQ), documents and processes, to password resets that can be automated. This week, management andIT help desk software developer BMC announced its new platform Myit. 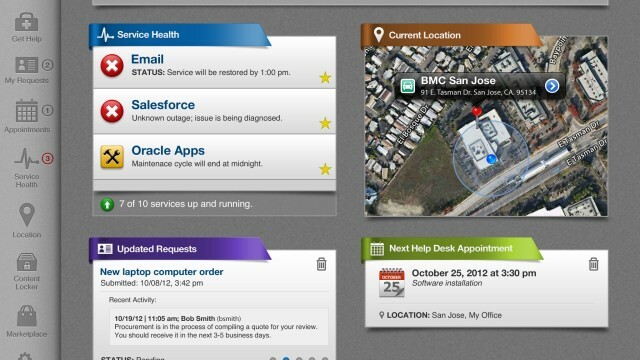 The software will not actually become available until early 2013, but BMC is already talking up the main concept: that, in an approaching era, such as bringing your own device (BYOD) is becoming more common, the team should be able to access and apply technology resources from a variety of devices, and use a more modern interface for self-service, instead of having to navigate through a phone system or a painful data bank entirely text-based. Need a helpdesk appointment? Click an icon. That sounds like a promising idea, and there is no doubt that current approaches have limitations. “Only 35% of employees say they get what they want from their IT company,” said the technology director Suhas Kelkar when he demonstrated the system Lifehacker earlier this week. The prototypes look interesting, but does not change the fundamental dynamics. This type of automation will only work if the back-end systems are in place to refer these requests, and that will only happen if there really sufficient support staff on site. Is this true in your workplace?